We pray this month for young people gathering for World Youth Day in Panama and the Magis Program organized by the Society of Jesus ahead of World Youth Day. The Ignatian Magis Central America event opened on January 11, 2019, with young pilgrims undertaking different Ignatian experiences of social action, art and culture, history, and more. 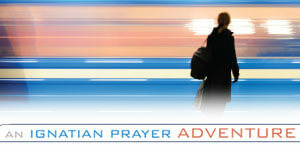 Pilgrims are encouraged to reflect with the daily Examen on their experiences. Holy Spirit, help us share the Good News of Jesus Christ in our own unique ways. Empower us to develop our gifts and talents for the service of God’s kingdom. Photo by Naassom Azevedo on Unsplash.